July 13, 2014 Supper tonight: Beercan Chicken, Barbecued Scalloped Potatoes, add a salad and corn on the cob. I love summer. 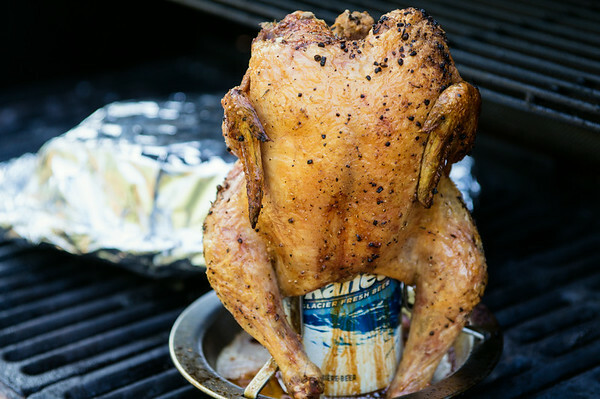 I've heard of beer can chicken but didn't know how you make it. You've made me very hungry! Super food shot! Great shot and it looks tasty! I need to get out more. "Beer can chicken" is new to me. I gather it's a way of keeping the chicken moist and flavoring it at the same time? Sounds like a scrumptiously delicious meal. Save some for me and I'll be right over:)!